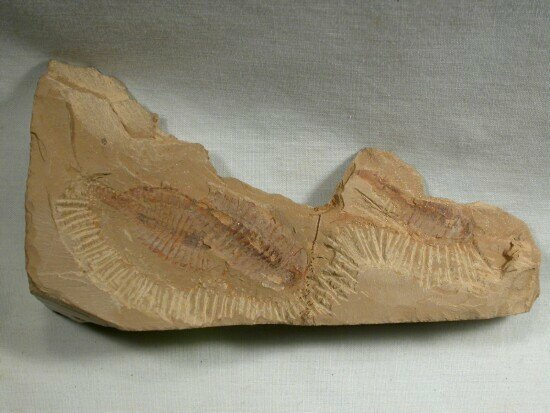 This fossil is death assemblage with three specimens of primative arthropod is known as Fuxianhuia protensa. The largest, most complete one is atop the others, so the animals may not all have been expired at the same time. Fuxianhuia is known from hundreds of specimens, with this one coming from the most famous location of all, Maotianshan (Mao Tian Hill), the actual site of the discovery of the Chengjiang Biota. The taxon only occurs in Chengjiang. Fuxianhuia's classification is one of the most disputed fossils from the site, with some considering it a euarthropod. The Chengjiang Biota discoverer and coworker erected a new family and a new superclass called Proschizoramia which was characterized as a group at any early stage in the evolution of arthropods with biramous limbs (hou, et al., 1987). Another early analysis described it as a stem group chelicerate (Will, et al., 1996). More recently, Ma et al. 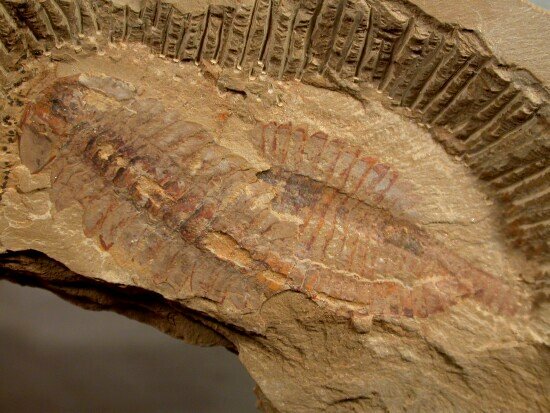 (2012) suggested that the head, brain and optic lobes had features simialar to a malacostracan (shrimp), chilopod and insect, and therefore that Fuxianhuia might precede their evolutionary split. Discovered by Hou Xian-guang in 1984, the Chengjiang Biota now ranks as the most diverse faunal fossil assemblage of all the Burgess Shale like deposits. 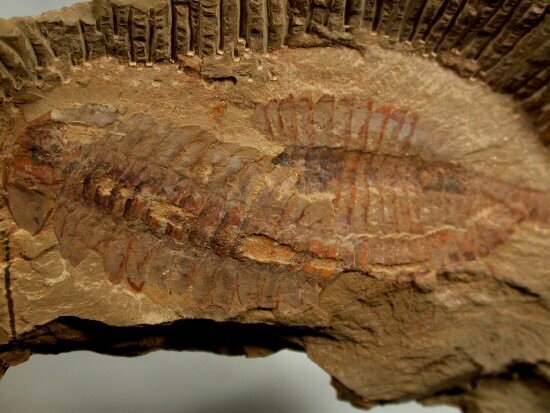 It is also some 10 million years older than the Burgess Shale. 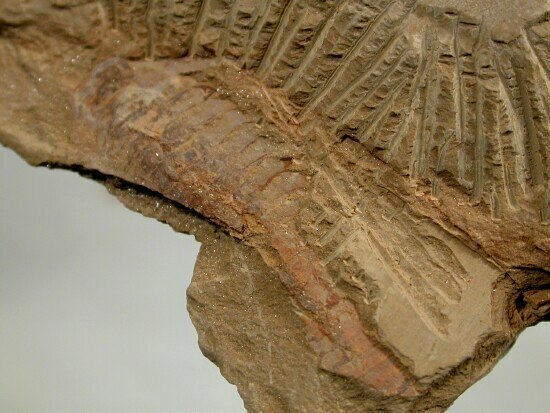 Like the Burgess Shale, non-mineralized soft tissue parts are often extraordinarily well preserved with high resolution as aluminosilicate films, sometimes with oxidized iron content. Various taphonomic processes leading extensive preservation of soft tissue have been proposed, including rapid death by asphyxia followed by rapid burial in anoxic sediment undisturbed by turbidity. The Chengjiang biota is dominated by phyla Arthropoda and Porifera. There are seven lobopodians, more than any other Lagerstätte that some scientists elevate to phylum rank, and seven members of the extinct phylum Vetulicolia. Members or potential members of phyla Priapulida, Nematomorpha, Hyolitha, Hemichordata, Echinodermata, Ctenophora, Chordata, Cnidaria, Chaetognatha, and Brachiopoda are found. A large number of enigmatic animals of uncertain affinity are found as well, some of which may represent failed evolutionary experiments, or even new phyla that did not persist for long in the early Cambrian, or were rapidly replaced by more derived forms. Among the diverse Maotianshan Shales fauna, of utmost important are the putative early chordates, particularly Haikouella, potentially an ancestor to or the earliest craniate chordate. Myllokunmingia and Haikouichthys are interpreted as early Craniata, and possibly very primitive agnathids, the progenitor of the fishes and all vertebrates. Chen, JY; Edgecombe, G. D.; Ramsköld, L.; Zhou, L (1995). "Head segmentation in Early Cambrian Fuxianhuia: implications for arthropod evolution". Science 268 (5215): 1339–1343. Wills, M. A.; Edgecombe, G. D.; Ramsk ld, L. (1996). "Classification of the Arthropod". Science 272 (5262): 746–747. Ma, X.; Hou, X.; Edgecombe, G. D.; Strausfeld, N. J. (2012). 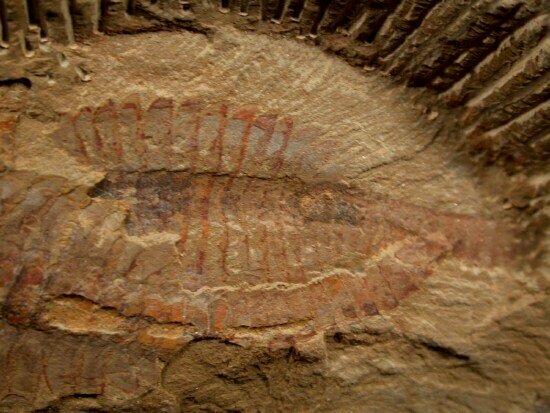 "Complex brain and optic lobes in an early Cambrian arthropod". Nature 490 (7419): 258–261.